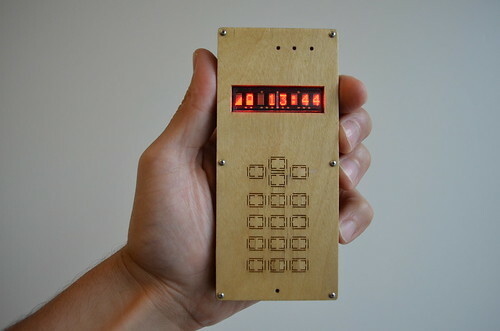 Arduino Blog » My open-source, do-it-yourself cellphone (built with Arduino). 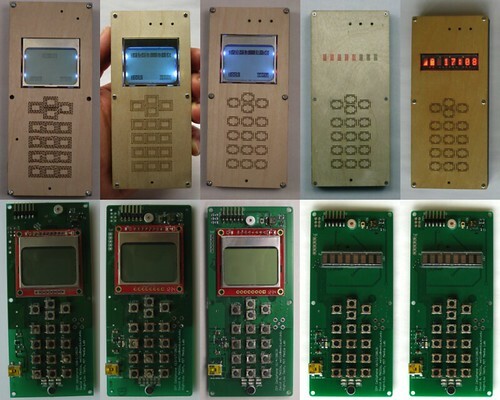 For a little over a year, I’ve been working on an open-source, DIY cellphone as part of my PhD research at the MIT Media Lab. 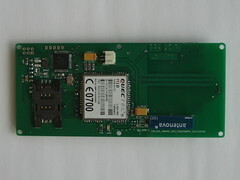 The current version of the phone is based on the Arduino GSM shield and Arduino GSM library. 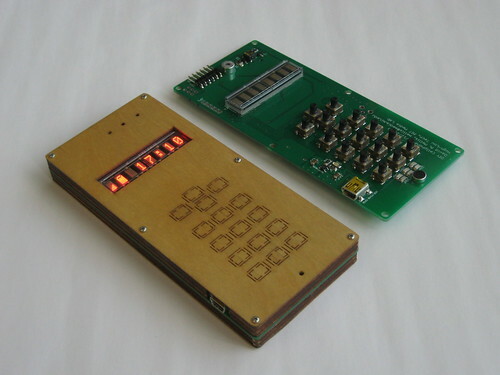 It sports a deliberately low-resolution screen (8 characters, each a 5×7 matrix of LEDs), a laser-cut wooden enclosure, flexure (living hinge) buttons, and a ~1000-line Arduino program that powers the user interface. The phone can make and receive phone calls and text messages, includes a phone book and caller id, and keeps the time. Everything you’d expect from a 20-year old Nokia! (Except snake.) I’ve been using various iterations of the project as my primary cellphone for the past six months or so. 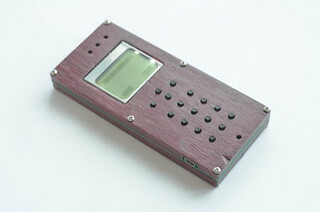 The phone is open-source and the design files are available on GitHub (hardware, software). 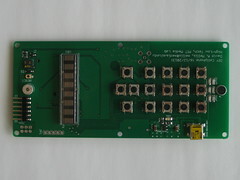 Assembly instructions are on my website, although I wouldn’t recommend making your own unless you have experience with soldering surface mount components. Of course, it’s not just me that’s been building these phones. I’ve run two workshops in which other people have made them for themselves. A few people have been building them on their own, including someone who posted his result on Twitter. Here you can see some the variations on the enclosure that my friends have made. On the left is a 3d-printed case by Ben Peters, the middle is a CNC-milled purpleheart wood case by Dena Molnar, and on the right is a hand-cut cardboard case by Jeffrey Warren. The phone has undergone numerous revisions as I’ve tried to get it into a robust, useable form. Here you can see some of those variations. I started with an LCD screen like those found on old Nokia phones, but it would break after a month or so in my pocket, so I switched to the more-robust LED matrix. The enclosure has had a few tweaks as well, primarily to find a good design for the flexure buttons. Overall, I’m pretty happy with the current incarnation. It seems to be relatively robust, simple enough to assemble by hand, and functional enough to use everyday (although a long way from a smart phone). 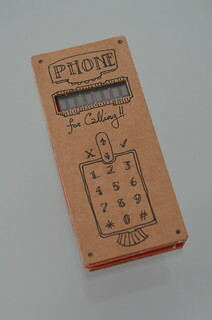 That’s my DIY cellphone. I know a few Steam Punks who would love this! I really love it!! 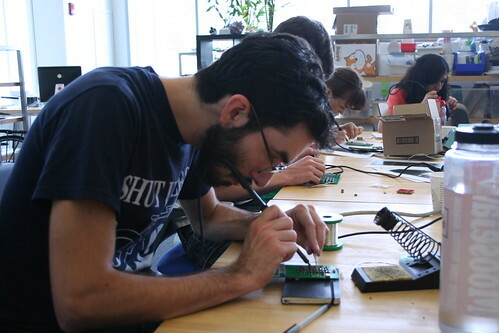 I’m a new user of the Arduino if you can help me… what’s the best way to learn it by heart? Do you know someone from Germany who could built me such a phone? I don’t have the time to build it myself, but I would pay for having a really free and hackable phone. Love it! The possibilities with a 3d printer for the body are endless. Awesome share! I really love it!! I’m a new user of the Arduino…I wonder what’s the best way to learn it by myself. 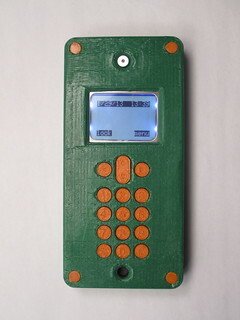 That’s fantastic, I made a rotary cellphone (https://www.stavros.io/posts/irotary-saga/) but was wanting to make a PCB for it. Thanks for including the links! Are there any tutorials on how to get a phone like this up and running? I’ve looked around a bit and have only found tutorials for a few parts of the process. hello sir.. this is amazing would like to purchase it..